Any way you look at it, and whatever your political views, March is shaping up to be quite the debacle from which you could probably use a good distraction. The Society for Theatre Research offers one at St Anne’s Hall in London early that month, with Clare Ferraby and husband Nick Thompson’s talk Creating Theatrical Magic: 50 Years of Designing Theatres. I stumbled across this event online while pondering the intensely focused space of the Nottingham Theatre Royal in contrast to the more epic and open King’s Theatre Glasgow a week earlier (yes, panto season). It’s curious how we who work in theatre often don’t consider the auditoriums we visit beyond the cursory fretting about where to put the lights and speakers, then about where the nearest loos are in relation to the production desk. Perhaps it’s like anything you spend a lot of time with – eventually you take it for granted. Perhaps it’s because we’re too focused on our show sitting on the stage. But the auditorium governs how the audience reacts to our work in a myriad of ways, some obvious (uncomfortable seats, poor sight lines, awful acoustics), some much less so. It starts with those who don’t spend all day, every day in a theatre wanting their time to be an occasion, a big night out, special, magical. The auditorium sets the tone before the show even begins. So, who designed Nottingham? As soon as the internet turned up the answer, everything made sense. The core of the theatre was a hybrid of some of the famous names of theatre architecture (Charles Phipps, modified by Frank Matcham), but its mid-1970s overhaul was by Thompson, the architect, and Ferraby, the designer. 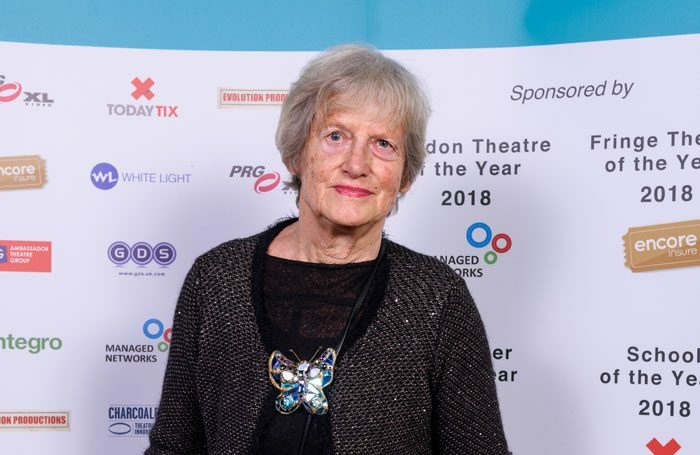 I’ve seen Clare in action, usually while messing up some West End auditorium she had lovingly, beautifully reinvented (among others, all of Cameron Mackintosh’s theatres and most recently the Victoria Palace) by hanging ugly spotlights in it. Her style is wide-ranging, and always seems to provide what a theatre demands rather than imposing anything on it: whether a modern take on art deco at London’s Prince Edward or that deep green in Nottingham that gives a rich sense of occasion when the house lights are up but retreats humbly into the background as they fade out and attention turns to the show. The remarkable thing about Nottingham is it’s easy to think the decor is original, but a quick look at the wonderful archive website the theatre has put together – including both before and after pictures and Ferraby’s design sketches – soon corrects that impression. Credit, too, to the management there, for looking after its theatre so well. I came to realise in my internet journey through the couple’s 50-year history that many of my favourite auditoriums have involved one or both of these practitioners. Which makes me happy that by some miracle I’m not working the day of their talk, so I can go. Hope to see you there.